Discussion in 'Motorsport' started by GTPNewsWire, Aug 3, 2018. This article was published by Andrew Evans (@Famine) on August 3rd, 2018 in the Formula One category. So no one saw this coming huh? Inferno251 and TomBrady like this. Sometimes you just need a change of scenery, it’s worth the risk imo. His only options are stay at a stagnant RBR with Honda power or go to a manufacturer team that’s on the rise, hope it works out well for him. Also him and Hulk will be an incredibly strong pairing. Imo Red Bull Racing should hire Brendon Hartley and not as mentioned Pierre Gasly. Give Brendon a better car because such a Talent like Brendon would be interesting to see what he could achieve in a better car. Interstellar9 and noshog like this. Completely unexpected. I really thought he'd sign with RB again. Well, silly season just got very interesting. Anything can happen now. Step backwards. Renault aint moving forward. Even if Honda stays the same as it is now, Red Bull's superior aero team will at least have them stay 3rd best team. Renault will have to fight with Haas, McLaren, maybe Force India (if they're still around) and the others. There seems to be no solid backmarkers as of now unless you're Williams. I don't see what Ricciardo sees in Renault. Maybe he'll beat Hulk and be able to get a couple 4th or 5th places? Shottah072, potvinsuks, JacoJa and 2 others like this. 1) He could be pulling a move similar to what Hamilton announced in 2012, which is going to a mid-tier works team which could have a dominant car when significant regulation changes are upon us. In this case, the regulations will not undergo a radical overhaul for the next two seasons, so a massive performance boost is looking unlikely for the time being. 2) Ricciardo's Renault contract terminates at the end of 2020, which coincides with the expiration of Vettel's and Hamilton's contracts at Ferrari and Mercedes respectively. Given his competency and positive attitude, I hope this move works out for him. Pete05, Clean Racer and JockeP22 like this. Not sure about Ferrari, but Mercedes announced Bottas for 2019 the week of Hungary. So that was one out. Even still, a deal with Merc or Ferrari would mean being a #2 (Ferrari especially), and I wouldn't be surprised if Dani Ric wasn't interested in doing that. Again. You might be able to consider Renault the best of Formula 1.5, but this is an eyebrow - raiser, for sure. Could be a disaster, could be like when Hamilton went to Mercedes and everyone said "Are you sure about that?" Maybe Dani Ric knows something we don't. Other question is who Red Bull replaces him with. Safe bet would be a Toro Rosso guy because both drivers will have had a year with the Honda power plant under their belts. Then I would guess Gasly based on his performance. Might be the smart move considering the switch to Honda engines next year. Hope it works out for him. Guess Carlos Sainz is saying goodbye to Renault then . And so much for Esteban Ocon joining Renault. No way they put him over Nico. I'm excited to see how Nico compares to Ricciardo actually. Maybe he just wants to race any F1 car. I mean, Alonso is still with McLaren. If no other category will suffice, may as well switch teams to try something else. ThePotatoKing and Boston77 like this. The news came as a shock to me. I would have wagered he was going to sign with Red Bull. If not RB, then Ferrari. I don’t expect we’ll see any “shoee’s” anytime soon. Maybe he saw RB catering to Verstappen to much. He is young and talented and RB’s future. But like @05XR8 said, maybe just the pure excitement behind an F1 wheel is enough at this time in his career. Why?? The Gas-Man has been outdriving Heartly nearly every race. Why on earth would RB sign the objectively slower driver?? In 2016, they finished 9th with 8 points. In 2017, they finished 6th with 57 points. In 2018, they’re currently 4th on 82 points. I’m not saying that RB will catch the likes of Ferrari and Merc next year, but to say that Renault is not moving forward is flat out wrong. Redbull don’t have an “Aero Team”. Redbull have Adrian Newey, and the man isn’t getting any younger. Over the last few seasons, how many times has Newey attempted to step back from his role at RB, only to be called back because the car sucked and he needed to work his magic to fix it. Once Newey says his final farewell, RB are in trouble. hrusa2, LMSCorvetteGT2, potvinsuks and 2 others like this. Because Brendon has far more experience than Gasly. But in this Season you are absolutely right because Gasly was the faster one. And because of that matter I think Red Bull will sign Gasly. But like I have written above I think Brendon would be the better choice for RB because of his experience. I saw this news and thought I was dreaming. Not sure it's a good move for next year, but who knows what's coming in the years after that. 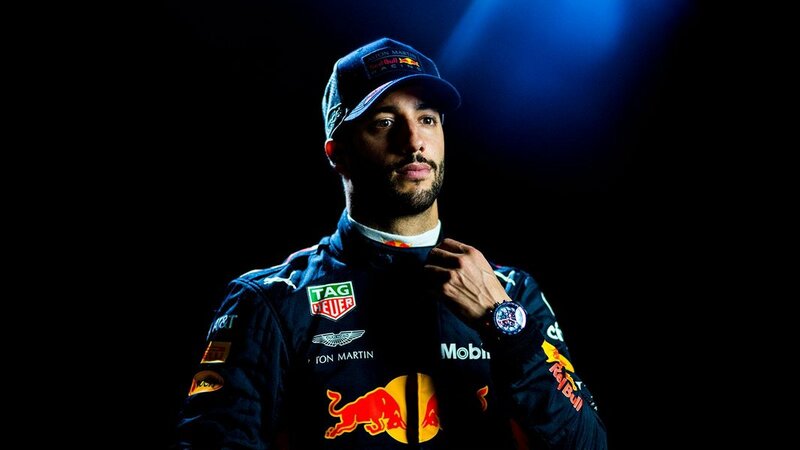 F1 teams do best with a #1 driver, and despite them always saying they don't have a #1, and despite Nico beating Hamilton once in the dominant Mercedes, its better for Ricciardo to at last be the key guy in an F1 team, despite Renault being second rate at the moment. Renault will be able to setup a car that suits Daniel and life will be sweet for him at Renault. Both Hamilton and Vettel didn't want Ricciardo and with Hamilton staying on the Mercedes door shut too. So it was only a choice between signing with Red Bull and perhaps they did not want to pay Daniel as much as Max, or going to Renault. I think it might be some time for Renault but things change fast in F1 and next years cars with the new front wing will allow more easy overtaking, which is a forte of Ricciardo's. Incidentally Sainz who is at Renault is still under contract to Red Bull and he was lent to Renault as part of their engine swap Honda for Renault deal at Torro Rosso, so he is also a candidate for RBR, although Gasly looks potentially pretty good, from a fast driver clash him v Max at RBR would be fun, but Sainz may still get that gig. I am more concerned about Renault's motor operation than their chassis improving, as Renault have a chassis already as good as McLaren's (who use the Renault power plant) and Renault have been buying top F1 personnel for their English chassis car operation as well as increasing the size of that operation significantly over the last couple of years, its now around 700 personnel I read, so far they have surpassed their predictions on improvements. However the motor side (in France) has been abysmal but hopefully they will get a qualifying mode motor and after all these years maybe F1's planned power convergence might happen, Ferrari are close to Mercedes now and Ferrari introduced a qualifying mode this year. Renault has been tight on resources in the motor operation and the F1 team signing Ricciardo shows that they are prepared to pay a lot for a good driver. So maybe they are starting to get serious after all. I suspect this move is better for Red Bull, Renault, Dan and F1. The excuse at ferrari was dan wouldn't "Gel" with Vettel. I can see this as true. Ferrari want Vettel to be the world champion, not the new comer. Adrian Newey is not the only guy who designs the Red Bull aero. Do a little research and you will see, he is however off and on. Even if Renault scores more points than this year, that doesn't mean they're going to overtake Red Bull. They are a factory team already but still fighting for best of the rest. Not really amazing. experience? in F1? both as far as i know, are in there first full season and already Gasly has shown hes got speed and bags of talent. Hartleys got motorsport experience yes...hell hes a Leman winner but what's he done so far in F1 with the same car as Gasly? not much. Would people be opposed to Boullier coming back? Even if they don't overtake Redbull it's extremely unlikely Redbull is going to win the world championship before 2021 anyway so from a drivers point of view whats the risk. Renault have the better post 2021 option, they are reported to be putting more resources to the new regs then any other team, they are a works team and they got the money to high elite staff from other teams, not to mention Redbull lost their likely successor to Newey in Key going to Mclaren. Wiegert, Tak[TEC] and mustafur like this. Red Bull has enough of it's own money they can match Renault's investment. They probably won't need to because Honda will basically be their works partner. If that's the case I bet Honda brings it's own budget to boost RB. Renault can't match Honda in terms of money, let alone a combo with Red Bull. Renault can match Honda for money in F1 clearly as they have a full team and Honda don't, plus they are a bigger company when you consider the Nissan alliance(keep in mind Nissan is putting Money into Renault with Infiniti). Long term it's a 50/50 situation. The problem for Honda is that Europe is not important to them. Their market share in Europe is below 2%. and Europe is Formula 1 territory. Meanwhile Renault/Nissan/Mitsubishi/I think Lada too, leads market share in several Euro countries and overall is #2 in Europe, and its growing stronger than others in most of its world markets. Honda's market share is less in Europe than a decade ago, although its gone up a little lately, but its way down the popularity list in all Euro countries, its a small player, and in total size, Renault/Nissan/Mitsu etc is quite a bit larger than Honda, although in motors, I think Honda is #1, but that includes large volumes in small motors, from mowers, garden trimmers to motorbikes. I hope Microsoft continue to sponsor Renault so Dan’s car is in the next Forza. I’m honestly actually pretty excited. Fresh new start, and while I’m not expecting the world next year, I’ve got confidence for 2020. It’ll be the first time in 10 or 11 years that an Australian won’t be driving for RBR. In terms of cars they still shift around 175,000 units a year and are up by 100% in some parts of Europe. The numbers are relatively low but not low in themselves. Yes, Brendon has more experience than Gasly as a whole Driver.When you drive and win LeMans you do the whole F1calender in 24 h. That's pretty amazing isn't it. By the way this aren't my words it's what Mark Webber says about LeMans and as you hopefully know he drove Le Mans and F1. I really wish he'd got a seat with Mercedes. Would love to have seen him go toe to toe with Hamilton. The Renault move came as a shock, but I think his best chance of succeeding there is if the new regulations in 2021 do for Renault what the hybrid engines did for Mercedes. fortbo and PocketZeven like this.